People are overloaded with information today, so whatever communication reaches them needs to be concise and interesting. In addition, content needs to be valuable enough to trade someone’s attention for. Content cannot be seen in isolation to the rest of your marketing strategy. Doing a ‘bit here’ and ‘something else there’ goes against all we know regarding the rules of ensuring that communication should always be consistent and relevant. Make content marketing more important in your business. Understand why it’s necessary to adopt use strategy and tactics in your marketing plans. Define the way you interact with customers, across various channels and implement it correctly. Resolve to create a content strategy which forms part of your marketing strategy. Ensure that implementation speaks not only to the audience’s profile, but also to their behaviour. Discover why using the most relevant keywords and phrases is critical for all online material. 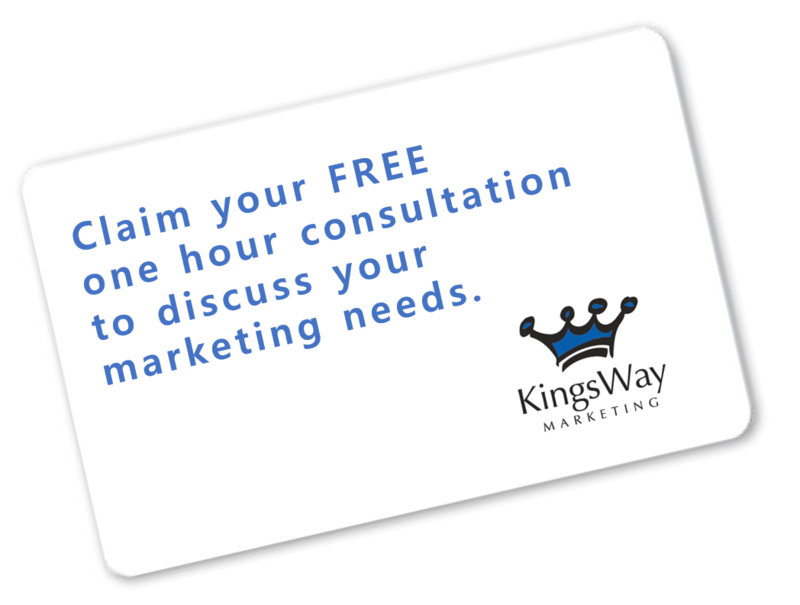 How can Kingsway Marketing help with content? Click on the card below to request a complimentary ‘discovery’ consultation where we can chat informally about your business.